The event is co-sponsored by the Chapel Hill Police Department, the Orange County Sheriff's Department, YMCA, University Mall, and Carolina National Insurance Agency. The event is held at University Mall in the parking lot. This is a FREE event offered to anyone that lives or works in Orange County; to safely shred and dispose of documents that may have personal information on them (ex: bills, check stubs, tax papers, credit card offers, pay stubs, etc.) 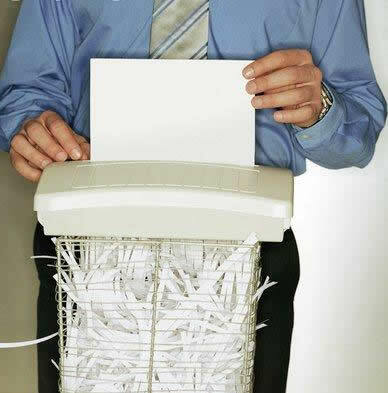 Documents are shredded on location. Law enforcement agencies sponsor the event in an effort to prevent identity theft crimes. The event leaders are now looking for other local businesses, or individuals, to be sponsors through a financial contribution! Sponsors will be included in all promotional materials. To sponsor, or for more information, please contact Officer Mark Geercken of the Chapel Hill Police Department at mgeercken@townofchapelhill.org or 919-929-2917. The Chapel Hill Downtown Partnership works to bring the resources of the Town, University and downtown community together to maintain, enhance and promote downtown as the social, cultural, and spiritual center of Chapel Hill through economic development. Visit www.downtownchapelhill.com.